Meeting service at hotel or at Komodo airport of Labuan Bajo town, west Flores. 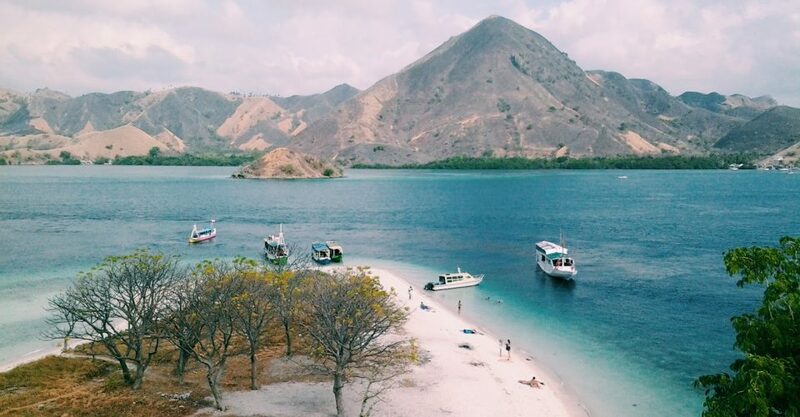 Then drive down to the harbor to set out on a wonderful Komodo sailing exploration. 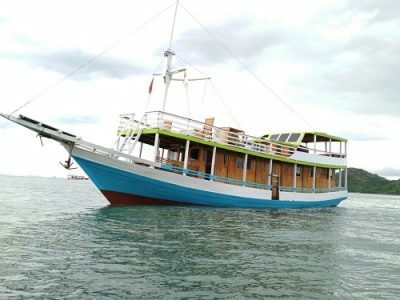 We firstly sail to Kelor Island for swimming or snorkeling to enjoy the underwater view of colorful fishes and reef coral garden. The cook prepare you a very delicious lunch on board. Afterwards, proceed the adventurous exploration to the pier at Rinca island. 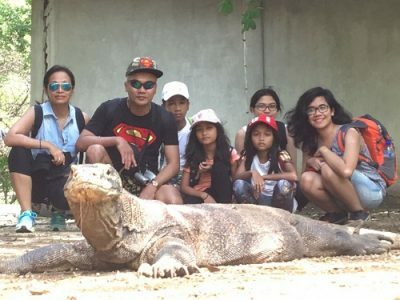 After anchoring the boat we start exploring the Island to discover the wild life of Komodo lizards, buffalo, Timor deer, numerous kinds of bird, and other wild animals. Furthermore, we go back to the pier to continue the Komodo sailing exploration to Kalong Island. Here we not only enjoy the wonder of sunset but also to discover flying foxes around a huge tree near the beach. We stay over night on board. We will enjoy a tasteful dinner on board. 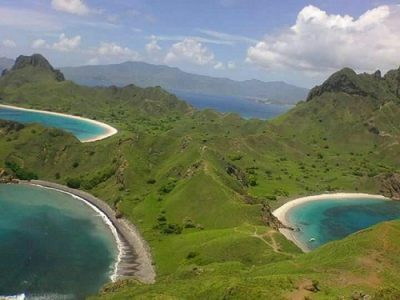 Early morning we set out on other wonderful Komodo sailing exploration to Padar Island. We enjoy a spectacular trek on the island. On the trail we will discover a breathtaking scenery. The crew will provide you with breakfast on board. Afterwards, we proceed our exploration to Loh Liang pier to prepare a wonderful trek on the island. We will discover Komodo dragon lizards live on their natural habitat. 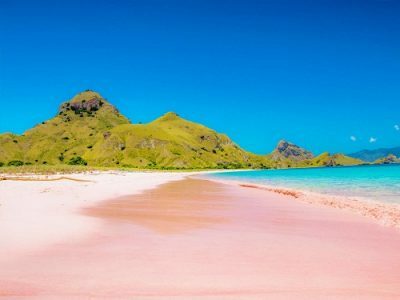 After that we go back to the pier to continue the adventurous trip to Pink beach. We enjoy the beautiful day on the turquoise beach. We embark the boat for lunch. Furthermore we sail back to Labuan Bajo harbor. The guide will drop you to the hotel or to the airport to onward the trip to next destination.